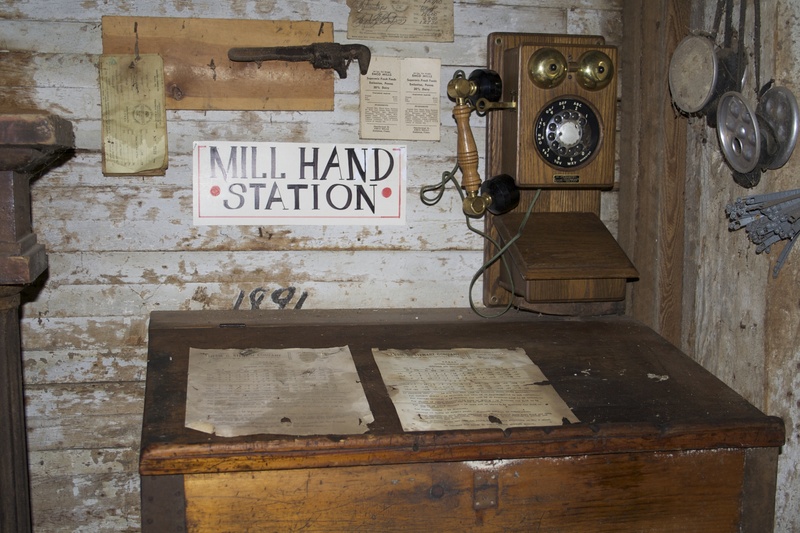 The mill hand station is basically the desk in the control area for the miller. The phone is not original to the Mill. It is actually a modern replica phone. Note the 1891 painted on the wall and the respirators hanging to the right. On the wall above the desk is an Emco Mills brochure and the Pa scale calibration forms. We think the Miller had his tobacco in the desk because it has a very powerful oder. 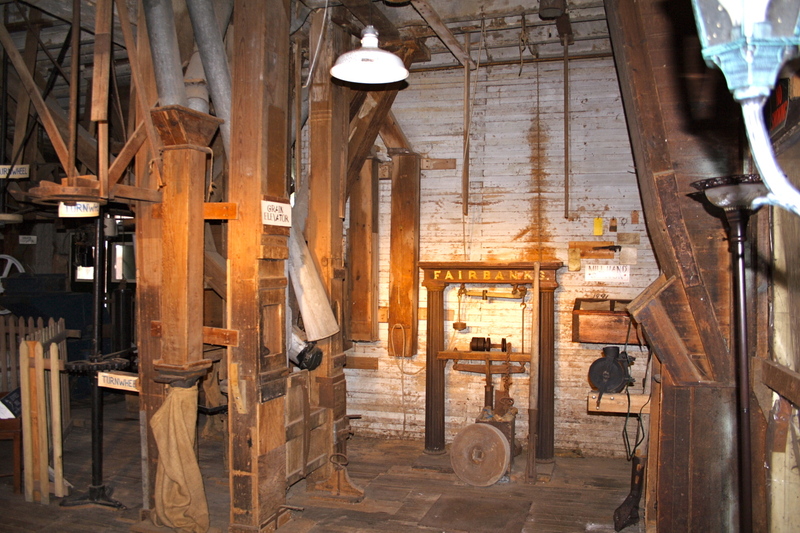 Filed under Mill Top to Bottom.